A beauty of premium flowers arranged with a modern style of groupings into a tall white ceramic vase. 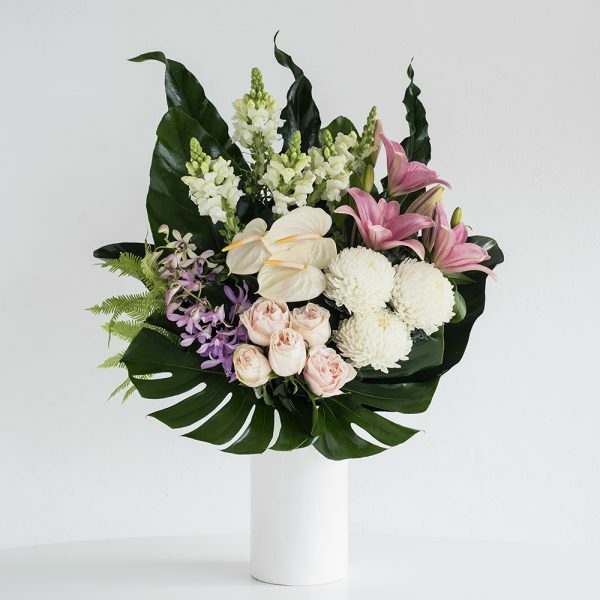 The arrangement is finished with large tropical leaves and other foliage to suit. A stunning arrangement that is sure to impress. A complimentary gift card is also included for your own personal message.